[JURIST] The Mississippi Senate [official website] on Thursday voted in favor [official website, bill history] of adding more ways to carry out the death penalty. House Bill 638 [text], which passed [JURIST report] in the Mississippi House of Representatives on February 8, would expand Mississippi’s methods of execution to include firing squad, gas chamber and electrocution in case the courts rule lethal injection unconstitutional. The Senate rejected [AP report] the firing squad option but retained the options of gas chamber and electrocution. The amended bill has been sent back to the House. The death penalty has been a pressing issue across the country. 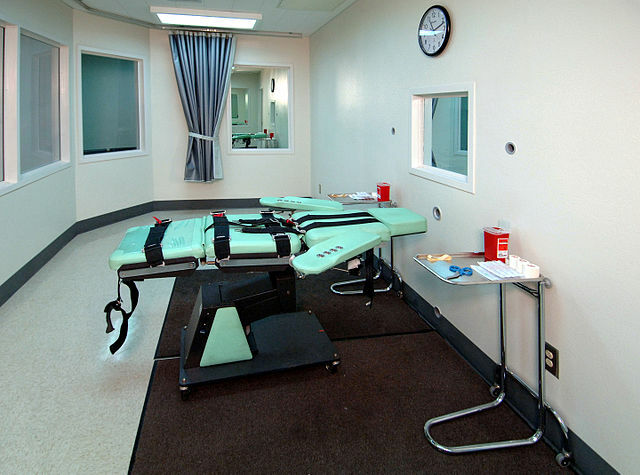 Last month the Supreme Court denied review [JURIST report] in a death penalty case. A week earlier the Supreme Court ruled [JURIST report] in favor of a death row inmate over racial bias. Also in February a judge for the US District Court for the Southern District of Ohio refused to lift [JURIST report] a preliminary injunction that delays executions in Ohio. In January Judge Michael Merz rejected [JURIST report] Ohio’s lethal injection protocol by deeming it unconstitutional under the Eighth Amendment. Also in January the US Supreme Court refused [JURIST report] to consider a challenge to Alabama’s death penalty system. In December a report by the Death Penalty Information Center found that the use of capital punishment in the US is at a 20-year low [JURIST report].